Keg King Kegerator with 3 Tap Tower - Stainless Intertap Faucets - Temp range 26 - 82 degrees F.
Every brewer needs a kegerator. In fact, every beer drinker needs a kegerator just the same. This particular kegerator has been brought to market specifically with the home brewer (or cider maker, winemaker, meadmaker, etc) in mind. 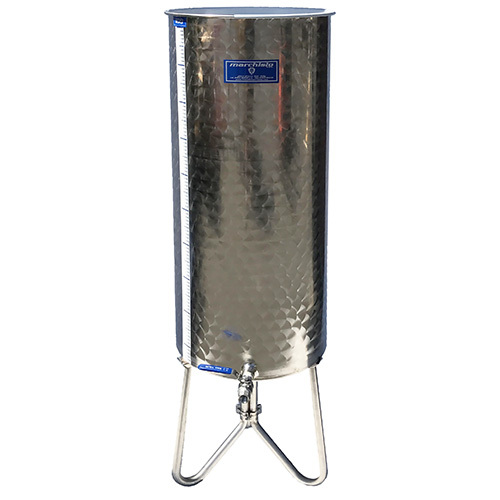 It comes equipped with several innovative products produced by Keg King including their robust regulator which can accommodate CO2 tanks as well as the high pressures of Nitrogen tanks (when adapted appropriately). The faucets included are the Intertap forward sealing design which means no stuck faucets, less chance of leaking, and easier cleaning. The temperature range of the thermostat is broader than most kegerators, allowing the homebrewer to use the unit as a fermentation chamber---a big advantage, and no override thermostat controller required. 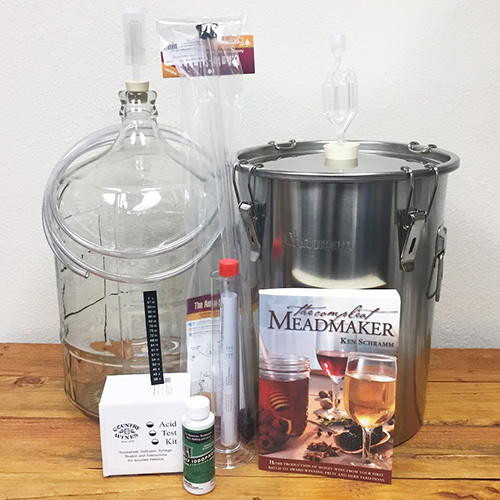 Bear in mind that the system does not come with a keg tap or CO2/Nitrogen tank, so you will need to have or purchase those items separately. Many more great features are listed below. 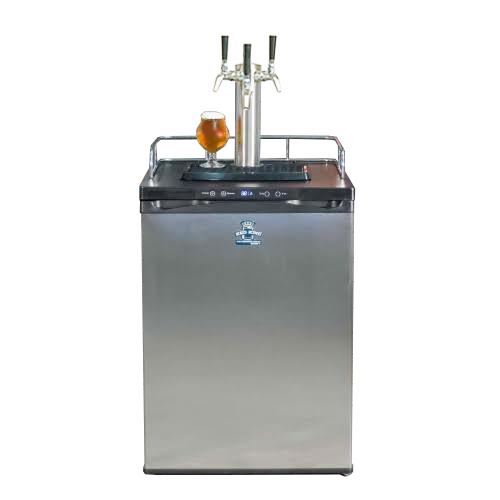 Keg King is an Australian company specializing in the manufacture of innovative brewing and dispensing equipment. The design new products aimed at revolutionizing the industry including the Intertap faucet and accessories, kegerators, and electric all grain brewing systems.